At Express Rugs we offer Plain Rugs in every colour and style, so why not keep it simple and go for one of our plain coloured rugs to enhance your room. 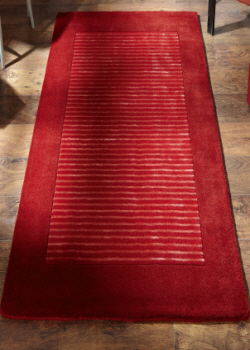 We have a great selection of one coloured rugs either with smooth finishes or stylish carved designs. Choose from lustrous silky finishes in viscose or maybe you fancy the comfort and luxury of a plain wool rug with a soft, thick pile. We offer the latest fashionable colours such as plain rugs in grey tones and soft pastel shades or maybe you prefer to make a statement in bright bold primary colours, with one of our blue, yellow or plain red rugs. Adding a plain coloured rug into a room can breathe a fresh new look without over complicating things and they are an excellent choice for blending in perfectly with patterned interior decor. 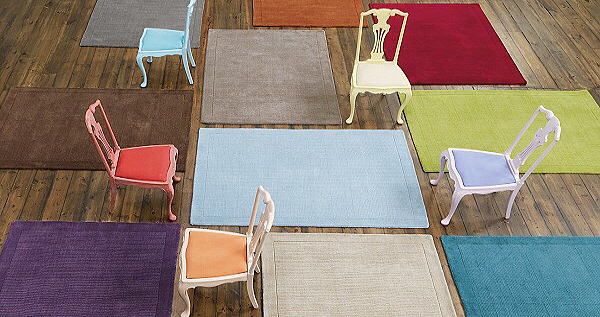 Plain Coloured Rugs in a wonderful a palette of colours, fibres and finishes. 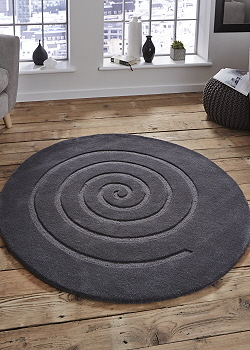 View our collection of plain coloured round rugs in a great choice of colours, finishes and textures. View our collection of Plain Coloured Hall Runners in a great choice colours, finishes and textures.